Candlestick chart patterns are a powerful tool to gain an edge on the market. Is there still an edge in candlestick chart patterns? 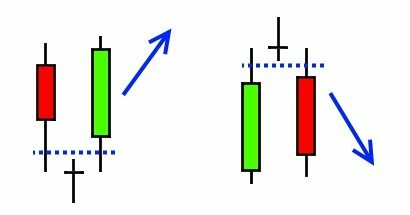 It’s possible that increased programmed trading lowers the effectiveness of candlestick formations. But much evidence of the efficacy of the method still exists. Candlestick patterns continue to offer a sustained value to traders. This lasting value comes from the insight that the patterns offer. It’s an insight into the group psychology of the marketplace. That’s what we are going to focus on here. Candlestick chart patterns show us the prevailing sentiments of the traders who are in the market. 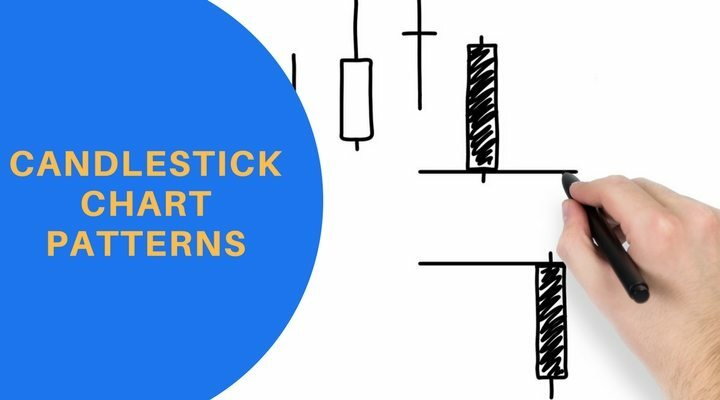 So here are 3 essential candlestick chart pattern types (which are also my favorites). Learn these, and you will be well on your way to success at reading the charts. Morning Doji Stars and Evening Doji Stars are by far my absolute favorite. The two formations hint at a high potential bottom, or top, in the market. The Evening Doji Star identified many tops in the months leading up to the dot-com crash. The Morning Doji Star has identified many bottoms. It’s often the formation seen when the market puts in a low and the multi-year bull rally starts. They both continue to be reliable in all time frames and especially on the daily chart. The left image in the illustration above is a Morning Doji Star signaling a bottom in price. The image on the right is an Evening Doji Star signaling a top in pricing action. Let’s get into some details. Here’s the reason why the three-candle Morning Doji Star signals a bottom on the daily chart. Price moves down in the first red bar due to the greater number of sellers willing to accept a lower price. This excess supply results in a close that is lower than the open. In the following session, price gaps down yet is unable to close at any further of a loss. It is also unable to reverse and create a gain in price. This indecision is what results in the star. Price gaps up in the session following the star and closes higher than the open. Traders caught short from one of the first two sessions fuel this increase in price. There are also traders who feel like they missed the low prices of the session that formed the star. They fuel the price increase by chasing the price higher. This logic in reverse explains the Evening Doji Star. Identify the Morning Doji Star to start long positions as well as close out open short positions. Spotting the Evening Doji Star can signal time for short positions. The Evening Doji Star can also signal time to close out open long positions. Tweezer Tops formations identify reversals in upward price action. Likewise, Tweezer Bottoms signal reversals in downward price action. Beyond the amusing name, the tweezer formations do something unique and helpful. The Tweezer Bottom conveys a double bottom formation in a lower timeframe. It uses only two candlesticks to do this. Tweezer tops illustrate a double top formation in lower timeframes. The illustration above shows Tweezer Bottoms on the left and shows Tweezer Tops on the right. Let’s investigate the psychology. The first bar in a Tweezer Bottom closes lower than it opened after making lows that were lower than the close. This price action shows slight strength. It’s enough to get price off the lows, yet not enough to close higher than the open. The next session has price opening near the close of the prior session. Then price attempts to make new lows. At the same price level as the previous section, demand increases and the price finds support. The buyers are the dominant group sending the price to new highs for the day. An intraday (or lower timeframe) chart of this would show a double bottom formation. The Tweezer Top employs the same logic as the Tweezer Bottom formation in reverse. Harami Cross formations are third in my list of favorite candlestick chart patterns. They signal indecision leading up to a powerful follow-through. These formations can preceded both continuation and reversal price action. Continuation or reversal depend on the bar following the Harami Cross. The illustrations above are Bullish Harami Cross and Bearish Harami Cross formations. Let’s start with the Bullish Harami Cross on the left. 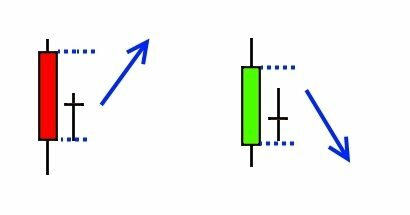 The second candlestick occurs within the open and close of the prior candlestick. That communicates indecision. Immediate bullishness would have the highs of the second bar higher than the bar before. Bearishness would have resulted in the second bar moving through the low of the bar before. Neither of these things happened thus the Harami Cross is signaling indecision. A example of using the Harami Cross is a trader looking for a long signal. Traders can also use a failure of the Bullish Harami Cross to start a short position. To do this, use the low of the first bar of the formation as a short trigger. The same logic holds true for the Bearish Harami Cross. Think of the cross as a coiled spring to make it easy to remember. Consider all the tension built up from the traders who are buying and selling. Neither bulls nor bears can move the price in their desired direction. Tension mounts as a result. The direction of the candlestick following the Harami Cross is important. Its position relative to the first bar of the Harami Cross indicates future movement. 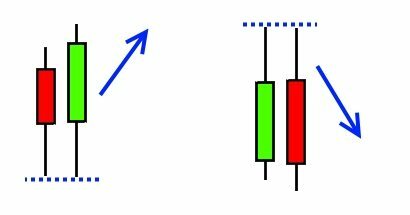 Traders who understand and deploy candlesticks get great benefits. Candlestick charting patterns can bolster an existing trading strategy. They can also stand alone as the foundation of a solid trading plan. 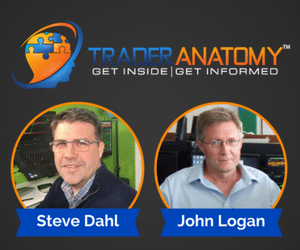 Do you know someone interested in candlestick chart patterns? Share this post using the buttons below!